With this ‘art of sourcery’ Gert Kramer would like to share with you what has been known for millennia by many refined civilisations on this world and beyond as the Source Code. Why Source Code? Because it shows the fundamental Creation Principle of the entire cosmos which has all to do with ‘balance in motion’, ‘unity in multiplicity’ and ‘order in chaos’. It explains why energy in different densities (e.g., snow flakes falling, light rays, milky ways in various parts of the EM-spectrum) manifests in a spiralling shape. With every step you take you have to rebalance your body and these steps together form a Tao, your Life Path. In the same way the different parts of your body constantly find a balance in between. Similarly within a group of people regardless its size. If a part of the whole gets out of balance, the others will facilitate to rebalancing it as this benefits all. If this is not or inadequately taken care of, significant disturbance may occur that within your body can develop into lethal diseases and within a society into very destructive revolutions. This is the main reason why in ancient Egypt the main task of the Pharaoh was Ma’at; maintaining the balance within himself, the entire society and beyond. It lead to a ‘societal model’ in which the collective took care of each individual by means of shelter, food, clothing and personal development and each individual contributed in free will to the collective. Therewith the strongest, multiplicity based, collective was created. Perhaps this Source Code can even show us how to ‘read’ our DNA in a way that its building blocks starts making sense. Why else would so many ancient philosophical, religious, mythological and mystic stories number wise refer to the Source Code? What is more important than the Key of Life to be passed forward to next generations to serve them in their development? If Heaven is a borderless place of perfect neutrality and silence known in the East as the conscious state of Samadhi, then could this state be symbolised as the perfect circle? Neutrally vibrating with a movement within itself without a displacement between beginning and end and therewith space-, time- and borderless ergo Unity Consciousness? And will the bringing back of ‘Heaven on Earth’ be realised with the understanding that the numbers underlying this circle (2×108) are the central part of quite a simple mathematical system that allows for infinite possibilities in a perfectly balanced closed system we know as our Cosmos? A system part of which is known in science as the Fibonacci sequence seen in population growth patterns, harmonics in music, surface division in art and architecture and many manifestations of Nature like flowers and pinecones? A system that as well facilitates a deeper understanding of what we are and what we are part of perhaps even providing an answer to our most existential questions. Who am I? What is I? What is the relation between I and that what surrounds I? Why am I here? A system that can bridge the current gaps between philosophy, science and spirituality. A bridge-building system that might even take down that what currently divides the various groups within Mankind. A system that reveals both the Core, the growth process and ultimate form of manifestation. Gert leaves it up to you to draw your own conclusions. We hope that this piece of art will inspire you to review the current assumptions you have as the basis of your observations, emotional reactions and actions knowing that all is choice, that you determine what you choose and that no one else chooses for you unless you choose for that. As a butterfly can create a hurricane at the other side of the planet, as a snowflake can create an avalanche so can you create a shift in consciousness and a great uncovering and awakening. All is One, this One is in All. More info about the Source Code on www.dragon9.eu: Rewrite the Fibonacci sequence. Do you see the perfect order and balancing principles? The cosmic principles of balance and oneness are understood and applied. Nature is embraced as a Great Teacher and not destroyed for short term profit. Ancient wisdom is used as a source of understanding. Multiplicity is embraced and the weakness of a mono-culture understood. The uniqueness of each individual within the collective is respected, mastery of potential talents facilitated and his/her passion encouraged. Each individual understands that it is by definition part of the whole and that by strengthening the whole it strengthens itself without losing itself in doing so. Peace and abundance for all is realised as the outcome of a specifically chosen set of assumptions that form the basis for how we look at ourselves and all that surrounds us therewith defining the choices we make in certain circumstances. It is Gert’s mission to facilitate the Awakening of Mankind in the Apocalypse, this time of uncovering and unfolding, by actively sharing another perspective. Through sharing of our insights we want to create a global level playing field. In sharing we will make no distinction on an individual’s background and his/hers previous behaviour knowing that we are One in our Multiplicity. He therewith deliberately steps over the many ‘stories of life’ and forms that exist and through which we all experience as individuals and as collective. Gert Kramer’s perspective is based on the Source Code, the Cosmic Spiralling Creation Principle (that can be found when rewriting the Fibonacci sequence) that forms the basis of the ancient Hermetic Philosophy. Many refined civilizations on this world understood this philosophy and the Source Code, like ancient Egypt with their societal model of Ma’at; maintaining the balance with the entire society and beyond. What do we see if we look from this Hermetic perspective and how does this effect our (implicit) assumptions? A clear set of assumptions that is derived from this perspective allows for both another basic feeling and another evidence based understanding. It therewith reconnects and re-unites our Hearts and Minds. The Source Code can facilitate the areas of philosophy, science and spirituality to go through a major transformation. Sourcery’s Art is used as neutral vehicle to globally spread our perspective. Art is used to manifest and share this new yet very ancient perspective. Through the use of the ‘Source it forward’ principle interested individuals are asked to ‘put their money where their mouth is’. At the same time you can help Gert to address and reach out to those people who you believe are interested in the insights and message shared by Dragon 9 Art. Together we know, are and give shape to the new, more refined world. In a similar way as one snowflake can create an avalanche we would like to manifest this global transformative naturally growing avalanche. What is given energy will grow. The type of energy you surround something with will define into what it grows. Gert invites you kindly to partake in one of the greatest adventures Mankind has ever gone through; it’s own Transformation. Gert was inspired by the movie “Pay It Forward” with a great and simple concept to change the world: the recipient of a favour does a favour for three others rather than paying the favour back. Gert would like to ask you to Source Forward the distribution and spreading of The Sourcerer’s Code. We are grateful that these contributors have facilitated the spreading of the Sourcerer’s Code together with this letter throughout the world. 1. You can order The Sourcerer’s Code via our webshop. These will be shipped to the address provided by you. In this way you can personally send The Sourcerer’s Code (on a poster, canvas, dibond aluminium or wood) to your friends and relatives together with this letter. 2. You can help us send The Sourcerer’s Code to influencers worldwide by making a donation. You can make a donation via Paypal or creditcard, via Ideal in our webshop or by a manual bank transfer. Please find the information for a bank transfer to the bank account of our company Dragon 9 below. By making a donation you facilitate Gert in ordering and sending The Sourcerer’s Code to influencers and decision makers throughout the world and people who are active in philosophy, science, spirituality, art (filmmakers, musicians, sculptors) etc. a piano tuning based on this philosophy. All of our events are in Dutch for now. Are you English speaking? Please contact us. We send you 1 e-mail newsletter per month, at most. Dr. Annika Smit was inspired by Gert Kramer and his cosmic philosophy based on the Source Code and rented the Divine 9 Fazioli 308 piano and a regularly tuned Fazioli 308 piano for her promotion speech for the Dutch National Police Academy. She used music as a metaphor to show that people and organizations can work differently if they can “tune into each other” and how another choice (another sound, literally another music tuning) can result in a different sphere. The Sourcerer’s Code is an initiative and piece of art of Dragon 9, the company of Gert Kramer which offers consulting, inspiration and art. Dank jullie wel voor de fijne ontvangst afgelopen maandag! Ik vond het heel inspirerend om te leren wat de negentallige reeksen ons leren over natuurlijke wetmatigheden. Heel boeiend ook dat het onderzoek van Gert heeft aangetoond dat die numerologische 9 in zoveel oude tradities en religies wereldwijd voorkomt. Ik besef dat de ‘moderne samenleving’ weer terug moet naar zijn roots. En dat kan alleen maar als wij weer oog gaan krijgen voor die oeroude inzichten en bereid zijn daar weer (meer) naar te gaan luisteren en leven. Of dat zonder slag of stoot zal gaan betwijfel ik. Er zijn nog steeds grote krachten werkzaam die diepgaande veranderingen zullen willen tegenwerken. De veranderingen zullen echt bottom-up moeten worden geinitieerd als gevolg van een toenemend bewustzijn. De Sourcerer’s Code helpt hierbij. Dank je wel Gert voor het uitdragen van jouw kennis en visie! She is the Source and the Legacy. Email us via art[ad]sourcererscode.com and leave your telephone number, than we will call you back asap. Please mention what your question is or what you want to talk about with us. Do you want to rent a Divine 9 tuned piano for your event? You can rent a Divine 9 tuned Fazioli 308. This is the largest piano in the world, handmade in a very refined Italian way. Please e-mail us: info[ad]divine9music.com. We send you maximum 1 e-mail newsletter per month. 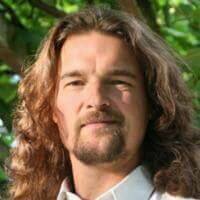 Gert Kramer is the creator of the Sourcerer’s Code, the Divine 9 Tuning and a prime number creating algorithm. Philosopher, inspirer and bridge builder. His mission: to share an alternative perspective that can create the foundation for another more refined reality known in ancient times as The New Jerusalem. Astrologically he is a double lion. In 1996 he graduated at Shell as Civil Engineer at Delft University of Technology. Thereafter he worked as a management consultant and later as entrepreneur. He is father of three children. Because of the continuing unbalance and disharmony that he experiences within himself and in the world in general, he starts his quest in 2009. He recognized, through application of the ancient nine based number system, the underlying perfect balance and order in the Fibonacci sequence; a mathematical definition of the spiral shape that stands centrally in all cosmic processes of growth and manifestation. His search connects him with many worldwide spiritual, mythological, mystic and scientific perspectives in many different civilizations throughout time. Here he continuously finds number and symbol based references to this One Cosmic Creative Principle that was and is known under many different names. “When the Rays of the Sun remember their shared Origin, it will be Paradise on Earth again”. Gert Kramer founded his company Dragon 9.
for companies, (groups of) entrepreneurs, consultants, scientists and artists. Like the Change Club, Club of Budapest, Freemasons, Dutch Police Academy. Art: Globally spreading the Source Code by Dragon 9 Art to create a new foundation for a refined and balanced world. Among which The Sourcerer’s Code (www.sourcererscode.com). Workshops: Each month we organise a workshop about the Source Code, everybody is welcome. Selling dvd and cd and recordings of these Divine 9 concerts with different artists like Jan Vayne, Juan Pablo Dobal, Jeroen van Veen. Webshop: In our webshop we sell Dragon 9 Art, tickets for Divine 9 concerts and events, Divine 9 recordings and e-books. “There is nothing more difficult to take in hand, more perilous to conduct or more uncertain in its success than to take the lead in the introduction of a new order of things”. ©2016. All Rights Reserved. Designed & powered by Dragon 9.